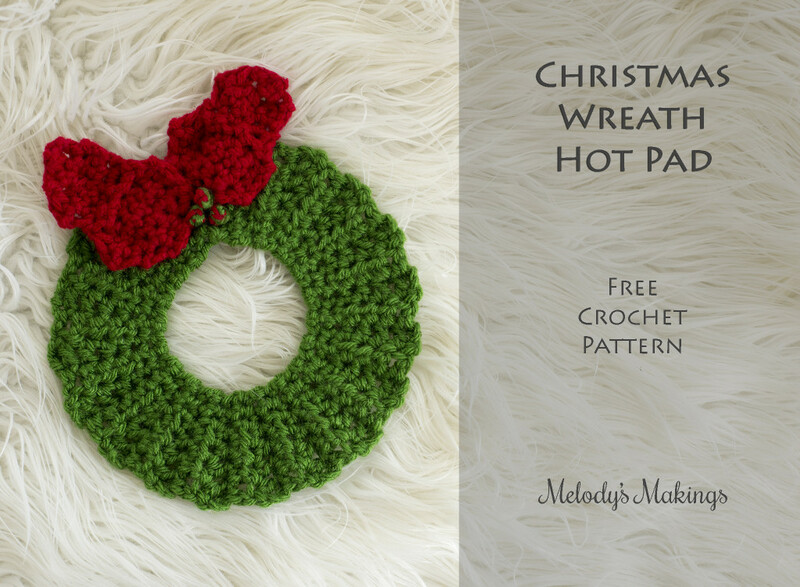 It’s the 4th and final week of our Holiday craft-a-long, and I’ve created another super cute hot pad pattern (with both a knit and a crochet version) to wrap it up! These ones would make really great gifts….and might even be fun to hang on your wall or door! A reminder for those of you who may have missed weeks #1-3…..I’ve created these cute free patterns so we can all work together to add some fun to our Holiday tables! Everyone who submits a photo of all 4 of their Holiday pot holders together will be entered to win 10 of my patterns (or entry into my next 2 Mystery Create-A-Longs) for free! In order to be entered to win, sometime between now and December 31st at Midnight (MST), create a project page that features a photo of all four of your pot holders together on Ravelry. Be sure to link to one of the four patterns so I can see that you’ve created it. I’ll randomly select a winner from everyone who submits and will announce the winner in my January 3rd newsletter. Don’t know how to create a project page? Don’t worry! It’s super easy. Click here to be taken to my tutorial on how to do that. Want to join in on the fun!? 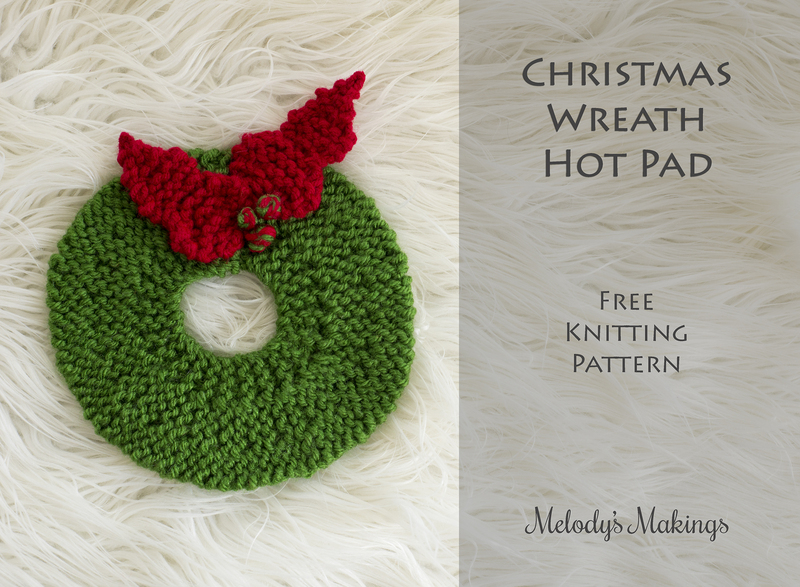 You’ll find the free Christmas Tree Pot Holder Pattern from week #1 by clicking here. You’ll find the free Candy Cane Hot Pat Pattern from week #3 by clicking here. Love you knitting patterns. The instructions are easy. Thank you for the patterns. I love all of these patterns! I threw them all together for a Christmas wreath by using a slightly smaller hook! I left off the wreath on the front door but slapped it on for the final drawing photo. I got a lot of complements for it already in our apartment complex and on fb! Passing out your reference left and right! 😉 Ive never made a project page before and was hoping you could tell me if I did it right to be included in the drawing? Thank you so much again for the fun and well written patterns! Merry Christmas! 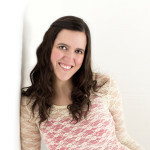 Hey Megan! Could you send me a link to your project page? I’ll be able to see if you’ve connected it correctly that way 🙂 Love the idea of a wreath! Can’t wait to see it! Yeah! Just gonna do it here! Hope that works! Haha! Thank you for the help, I’m so new to all this still! Yep! Looks like you have it linked correctly 🙂 And that is Soooo cute!! What kind of m1 stitch did you use on the leaves? When you say short rows are you wrapping stitches? Thanks! Thank you so much for this! I have a daughter-in-law, and a not-yet-daughter-in-law – I can make these next year to put in with their Christmas gifts. I’m sure there will be others that will be receiving them as well!